Mechanics in Fife received a nasty surprise as they looked under the hood of a customer’s car and found a snake. 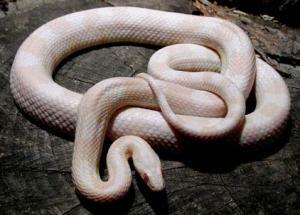 The pale pink corn snake was discovered at the North Road Garage in Kelty. Measuring just over two feet long, the reptile was found inside a Fiat Punto and, having been taken in by the Edinburgh and Lothians Animal Rescue and Rehoming Centre, has since been given the name Punto. Running a car repair shop in Scotland, one might not expect to have to deal with intrusions from unwanted serpents. Nevertheless, the immediate surroundings of a premises ought to be considered when choosing a location for a motor trade business; visiting wildlife might not be important but local factors such as crime and flood risks will have an influence on the cost of a motor trade insurance quote, so due diligence ought to be taken in scoping out a business site. Animal rescue officer Stacey Jamieson commented on the incident: "The mechanics got a bit of a shock when they opened the bonnet and found Punto. "He would have been attracted by the heat so it would have seemed like a good place to take a rest. Thankfully, he was discovered before the car was driven as this could have led to him coming to serious harm." It is thought the snake might have been eating mice in a sewer next to the Scottish garage before taking refuge inside the car’s warm engine. Ms Jamieson added that if no one comes forward to claim Punto, they would find him a new home.